The Recipe: Fresh strawberries glazed with soft, cool gelatin in a chocolate-cookie crust made from homemade chocolate cookies. 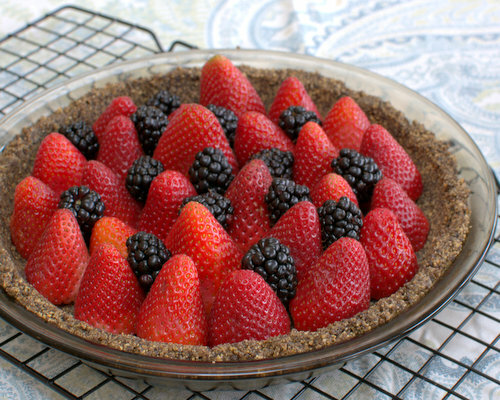 This is a wonderful pie for spring and summer, no fancy strawberries required, supermarket berries work beautifully. The pie tastes light and surprisingly cool and refreshing. Better still? Make the pie today, serve it tomorrow, it keeps beautifully and is a real crowd pleaser! Any surprise that I'm singing the praises of Fresh Strawberry Pie? In Praise of Jello. Some.Times. Do you do Jello? You don't? Me either. Oh wait, you do too? Yes, I do do Jello. I just did the math. Only .002% of my recipes call for Jello. Without shame, I love every single retro one of them. And I love this new one, too, this "Strawberry Jello Pie". It came as a surprise, how sweet and crisp and refreshing it is, how very-very-berry. Did I mention? For only 200 calories! In Praise of Supermarket Strawberries. Some.Times. Let's start with the berries themselves. Honestly, I'm not sure I'd waste home-grown strawberries with this pie. 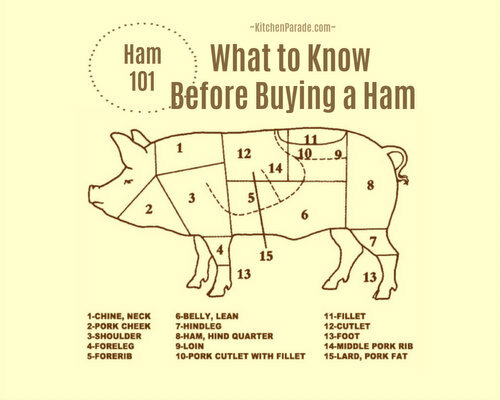 They're just not necessary and they might even be too soft and juicy. And what supermarket berries lack in "specialness" they compensate with price and availability. Has anyone else noticed that there's two strawberry crops that come from Mexico? There's one now, in early spring and then another mid-summer. That means several months to make Fresh Strawberry Pie! Hello #PieDayFriday! The strawberries are coated with a thin layer of a sweet gelatin, I happen to be partial to the black cherry flavor. The color is so dramatic! The flavor is somehow more "real" tasting than strawberry jello, say. In Praise of the Red White & Blue. You can even gild the lily strawberries, just tuck a few blackberries in between. Wouldn't this be festive for the Fourth of July?! In Praise of ... Homemade Chocolate Cookie Crusts! It's crazy, I suppose, to go to the effort of making the cookies for the crust of an otherwise no-effort pie. The cookies are a lot like the cookie part of Oreo cookies, except better, not as dry, way more chocolate flavor. And I love this crust! The combination of half chocolate and half graham cracker crumbs is quite dramatic in appearance that's totally in line with the glistening berries. And besides, I'm happy to have extra cookies in the freezer for future crusts. And besides, chocolate cookies, people. Need I say more? CHOCOLATE CRUMB COOKIES Heat oven to 375F/180C. In a food processor, collect the sugar, flour, cocoa, cinnamon, baking powder, baking soda and salt and pulse several times until combined. Remove lid and place the butter chunks in a ring around the blade. Process until mixture becomes powdery. Add egg and process until the dough begins to clump, about two or three minutes; it will start off like wet sand, then slowly turn into a thick cookie dough. (Note: if needed for the dough to clump properly, add another egg white. I haven't found this consistently but often enough to mention it.) Line baking sheets with parchment and use a small scoop to measure out cookies, 20 fit fine on a standard-size baking sheet. Bake for 9 - 10 minutes (10 was perfect in my oven), they will appear slightly underbaked but will firm up as they cool. Cool for 2 minutes before removing from the baking sheet. Let cool completely before processing in food processor to make fine crumbs. Makes about 60 cookies, enough for 6 all-chocolate crusts or 12 half-chocolate/half-graham-cracker crusts, my not-too-sweet favorite. The whole cookies freeze well to have at the ready for future crusts. They're also addictively good on their own, just sayin'. NO-BAKE CHOCOLATE COOKIE CRUMB PIE CRUST Combine crust ingredients in a bowl, stirring well to evenly wet both the chocolate and graham cracker crumbs. Press crumbs into a shallow pie shell, working the sides first, then the bottom. Once crumbs are in place, compact tightly with the back of a soup spoon. Refrigerate until firm, about 30 minutes. STRAWBERRIES Rinse berries and dry on paper towels. Slice off the strawberry "shoulders" (usually less ripe, especially with supermarket strawberries) and stems. Arrange the berries tip sides up; start at the center and work out, selecting larger berries toward the center, smaller berries toward the outside. JELLO GLAZE Once the berries are in place, make the Jello Glaze. In a medium saucepan, stir together sugar and cornstarch, then stir in water. Bring to a boil. Remove saucepan from the heat. Stir in Jello powder until it dissolves, then vanilla and almond extract. Refrigerate just until thick enough to pour and coat berries, about 5 minutes. With a spoon, ladle the wet, thick gelatin mixture over the strawberries, coating them on all sides, you may not need it all. REFRIGERATE Refrigerate the pie for four hours, it's at its most fresh and refreshing when it's really cold and firm. MAKE-AHEAD TIPS This pie really keeps, even the crust doesn't suffer. That means you could easily make this pie a day ahead. VARIATIONS It's a great look to tuck a few blackberries (blueberries would work too) between the strawberries, very Fourth of July-ish! I can also imagine chunks of fresh mango too. ALANNA's TIPS You may need to search around some to find "Special Dark" cocoa from Hershey's. But it's worth seeking out, it's ever-so-chocolate-y and for several years now, has been the only unsweetened cocoa to be found in my cupboard. It's crazy, I know, but to my taste, strawberry jello has a very artificial taste, that's why I've come to prefer the black cherry flavor. And dramatic looks! It takes two pounds of strawberries to make sure you have enough berries to fill the entire pan. In the past year, I've learned to use Pyrex (glass) pie pans whenever I "bake" a pie. But for a no-bake pie like this one? Bring on the pretty ceramic pie plates! I've got several now, every single one came from the Goodwill! Per Pie Slice, assumes 8 slices: 207 Calories; 8g Tot Fat; 5g Sat Fat; 29mg Cholesterol; 132mg Sodium; 32g Carb; 1g Fiber; 24g Sugar; 2g Protein. 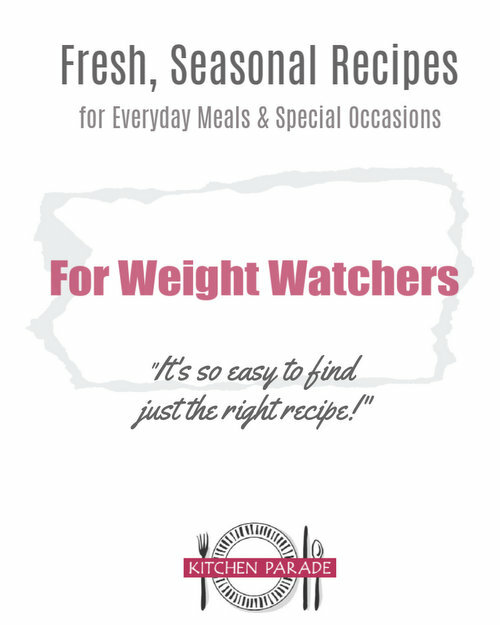 WEIGHT WATCHERS Old Points 4 & PointsPlus 5 & SmartPoints 10 & Freestyle 9 CALORIE COUNTERS 100-calorie serving = 1/2 slice (1g protein). Chocolate Crumb Cookies adapted from Smitten Kitchen's Hot Fudge Sundae Cake. Fresh Strawberry Pie adapted from a decades-old church cookbook.